Welcoming guests for over a 100 years, today we still welcome all travelers with a good old fashion Yorkshire welcome, you may come as strangers but we hope you leave as friends. Welcome to the Horseshoe Hotel at Egton Bridge, near Whitby -ensuite B&B accommodation. You’ll find a friendly welcome from your hosts Andy, Kate and team. Our homely bar and restaurant have warming, open fires and wood burners. Our comfy rooms are the perfect place to get a good night’s sleep after a busy day and our good honest pub food is created from some of the best local ingredients in North Yorkshire. We are set in the heart of the North York Moors on the banks of the River Esk and surrounded by stunning scenery. The Hotel at Egton Bridge offers six cosy rooms, perfect for walkers exploring the North York Moors or those visiting Whitby, Robin Hoods Bay and the surrounding attractions. We’re situated just a five minute walk from the train station for the Whitby to Middlesbrough line. From Whitby you can jump on the North Yorkshire Moors steam train and travel through the valley to Pickering stopping along the way to visit the local attractions such as Goathland, the home of the TV series Heartbeat. You’ll find six rooms at the Horseshoe all with modern en-suite facilities some with a bath and a shower. Each room is unique but all are cosy & perfect for an overnight stop or weekly holiday. The hotel is located just a short distance from Whitby and with brilliant public transport you can take a beautiful train ride or catch the regular bus service. Or discover the amazing walks around Egton. With stunning scenario on our doorsteps, the hotel is the perfect base to explore the open moorlands with a pub on almost every route, refreshments are easy to find! We have built an amazing reputation for our customer service, friendly staff, excellent food & cosy bedrooms. Our review scores speak for themeselves. We’re disappointed to report that our guest engine, 60009 Union of South Africa is out of service and in need of new piston rings and valve rings and can no longer run the railways 2019 opening event. 's cover photo The Horseshoe Hotel, Egton Bridge, Whitby updated their cover photo. Bodgers Mate Going to be another great night! The Forum Music Centre Valentines Evening featuring live music from Hayley McKay & David Neil Crabtree + 3 Course Tapas sharing Menu. Limited seating so reserve your table now! Hotel for sale nr. 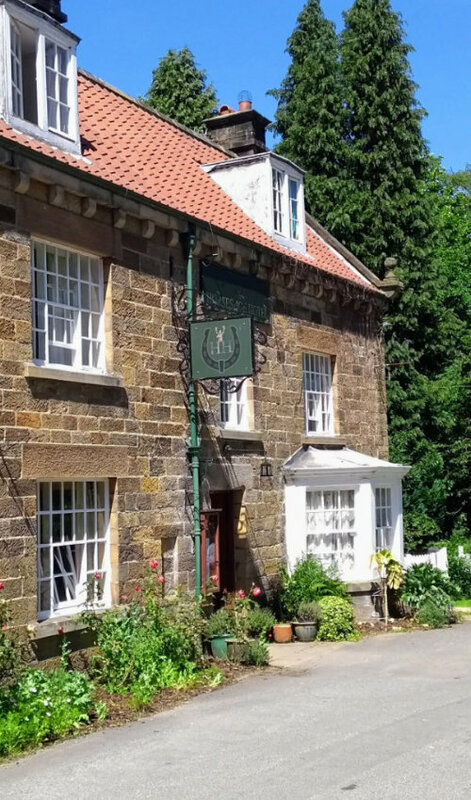 Whitby - Horseshoe Hotel (freehouse) - Lease £55,000 Fantastic opportunity in 2019 to take over this amazingly popular six bedroom hotel in the North Yorkshire Moors & very close to Whitby. Join us this Friday (18th) from 8.00pm.The blues legend Terry Kilburn will be hosting a charity event. Terry will be joined by other brilliantly talented local musicians! Come and enjoy pie & peas and great music. Friday 11rh Jan, from 8.30pm. The Horseshoe Hotel, Egton Bridge, Whitby was live. Please note we're having some kitchen work done on Wednesday 16th May (only) so there will be NO food, bar as normal. @vouchercloud Thanks for the code WOW15, just saved some more money on https://t.co/NY1Q2q3IDm - keep the codes coming! @TheYrkshrGent @WhitleyNeill We sell loads, very popular and for good reason, it's lovely.